Science - Innovation - Quality - Results Professional Grade Supplements 100% Complete Amino Acid Profile 9 Essential Amino Acids 3 Branched Chain Amino Acids Dietary Supplement 100% Quality & Potency Guaranteed cGMP Registered Facility Lab Tested - Every Ingredient Every Lot HalalAllmax Nutritional AminoGel is a complete spectrum of essential and nonessential amino acids. 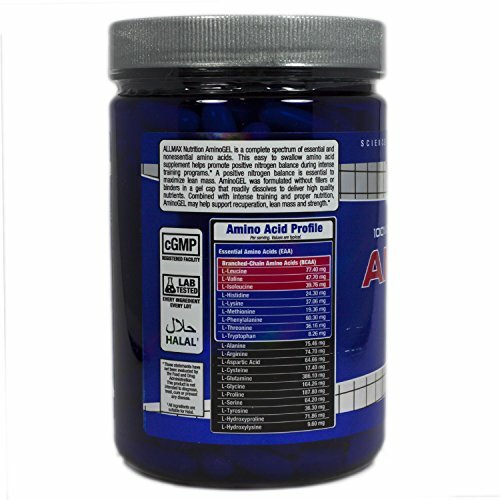 This easy to swallow amino acid supplement helps promote positive nitrogen balance during intense training programs. A positive nitrogen balance is essential to maximize lean mass. 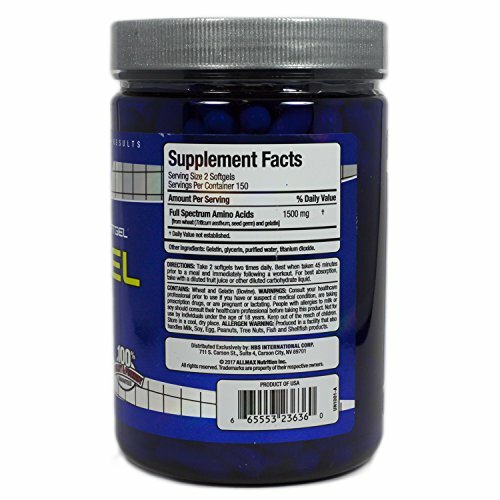 AminoGel was formulated without fillers or binders in a gel cap that readily dissolves to deliver high quality nutrients. 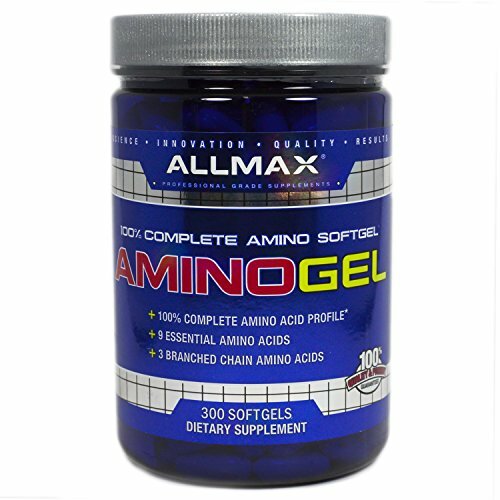 Combined with intense training and proper nutrition, AminoGel may help support recuperation, lean mass and strength.All ingredients are suitable for Halal. If you have any questions about this product by ALLMAX NUTRITION, contact us by completing and submitting the form below. If you are looking for a specif part number, please include it with your message.